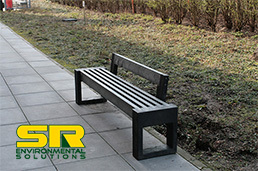 SR Environmental Solutions Ltd (SRE) builts its excellent reputation on one of the most efficient after-sales service in the country. Its team of qualified engineers and technicians offer a 24/7 service based on the type of maintenance agreement that is agreed upon by both parties. SRE stocks and distributes spart parts and consumables for all the machinery and equipment it supplies and it also sources, on demand, spare parts for most well-known types of recycling machinery with fully operational warehouse facilities.